It does not contradict the Minsk agreements, he says. President Petro Poroshenko has signed the law on the status of certain regions of Donetsk and Luhansk regions, also known as the Donbas reintegration bill. "This law, on the one hand, reflects my strategy as the president, as commander in chief, on how to return the occupied territories under Ukraine's sovereignty. In this law, we describe Russia as the aggressor state," he said. 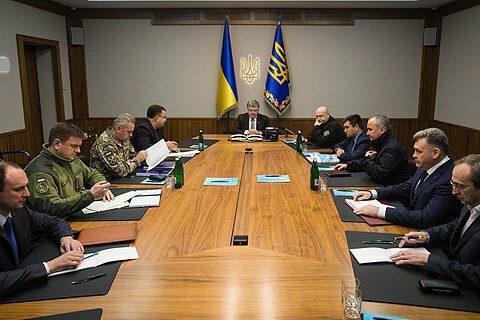 According to Poroshenko, it strengthens the legal framework for the use of uniformed agencies for Ukraine's defence and sets the basic parameters for the protection of basic rights and freedoms of civilians. The law does not contradict the Minsk agreements. Since the antiterrorist operation ends with the adoption of the law, he instructed the General Staff to nominate the commander of a new structure, the United Operational Command HQ, by 1 April. Parliament adopted the Donbas reintegration bill on 18 January.